Let us get back to it all. The election is behind us. No one needs me to recap that the Texas Tribune did a great job here. Debt is being retired as. we. speak. and everyone is moving on - including Beto. It certainly was the year of the woman across the country. Let’s hope that doesn’t have to be a think again. 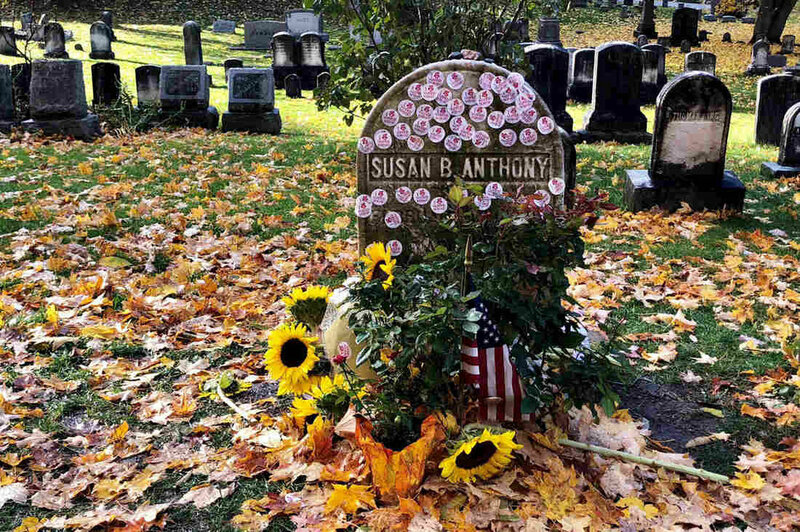 In the best news I saw all day, NPR highlighted Susan B. Anthony’s gravestone being flooded with I Voted stickers. There are three more women in the Texas house than last session, although Carol Alvarado is making a move for Texas Senate and is largely expected to soon move to the “upper” chamber. Two other ladies canceled one another out in the Senate with Beverly Powell unseating Senator Konni Burton. We lost Linda Koop in the Beto wave but hung on to Sarah Davis down in Houston despite the Governor’s best efforts to unseat her. In the last month the Speaker’s race was all anyone was talking about, and then suddenly it was wrapped up with a neat little bow. Those involved closely will argue it was nothing of the tidy kind, and let’s just say it - no women filed for the job (deep sigh). Nonetheless I’m impressed with solidarity and organization in November. Representative Dennis Bonnen and Lt. Governor Patrick even shared a press release to announce a commitment to working together. Representative Stickland is even tweeting his support of Bonnen as well. It IS the most wonderful time of the year. Presumptive Speaker, Representative Dennis Bonnen has named his longtime Chief of Staff Shera Eichler to serve as Director of the Office of the Speaker so a big Pink Granite high five to her. Here’s what I’ve been screenshot-ing this month, while clearly avoiding the effort of an actual post. I hope its not stale now. The Boy Scouts let girls in, and the Girls Scouts sued. Equality can be hard. Via The New York Times. If you’re really missing a midterm break down, consider Samantha Bee’s effort. P.S. Harris County elected not one or two but 17 black women to judicial seats. Here’s another nice breakdown on the women running in Texas this year via the Texas Tribune. Vogue asks why the white girls keep voting against their “own interests.” Read more here. Do you agree? The NYT tells us it was a banner year for women - except those in the GOP. CBS News on Americans being more comfortable with women as executives than as lawmakers. Hmmm… what do other rich countries think about women in power? Via Reuters. As a mother should you be able to file childcare as a campaign expense? Spoiler alert - that’s a yes. For any primary caregiver IMHO. In a very House of Cards style one Supreme Court Justice fell and broke some ribs but the Notorious RBG bounced right back.